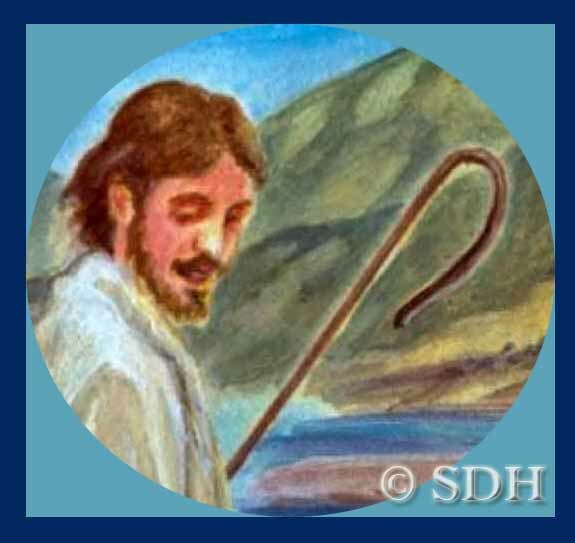 From the Painting “The Good Shepherd” © S.D. Harden 2013 All Rights Reserved. 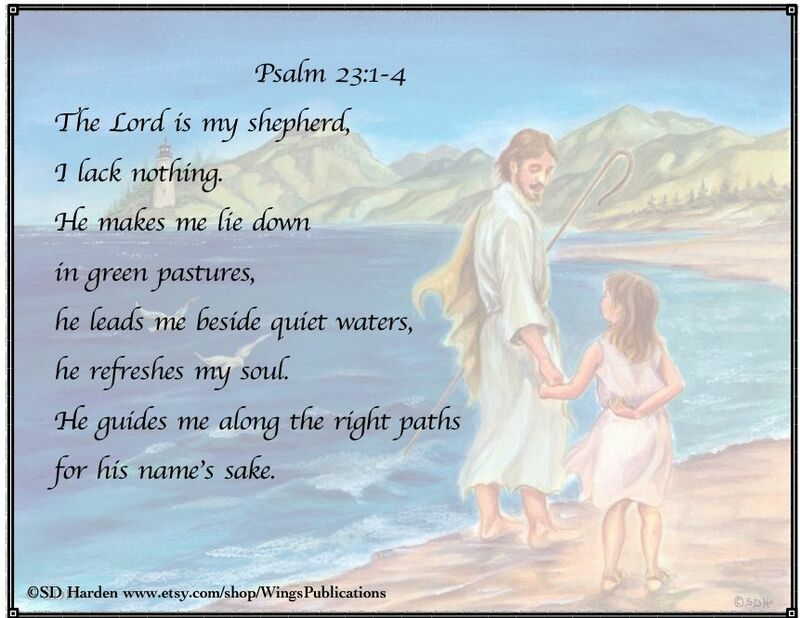 Psalm 23 is known as The Shepherd Psalm. It’s one of my favorite Psalms in the Bible. Sometimes our Good Shepherd may ask us to go down a path we may be afraid to follow. Yet God’s word assures us that Christ always leads us in paths of righteousness. (Psalm 23:3). The way I understand it, God won’t ever guide us to do something that is contrary to His word. 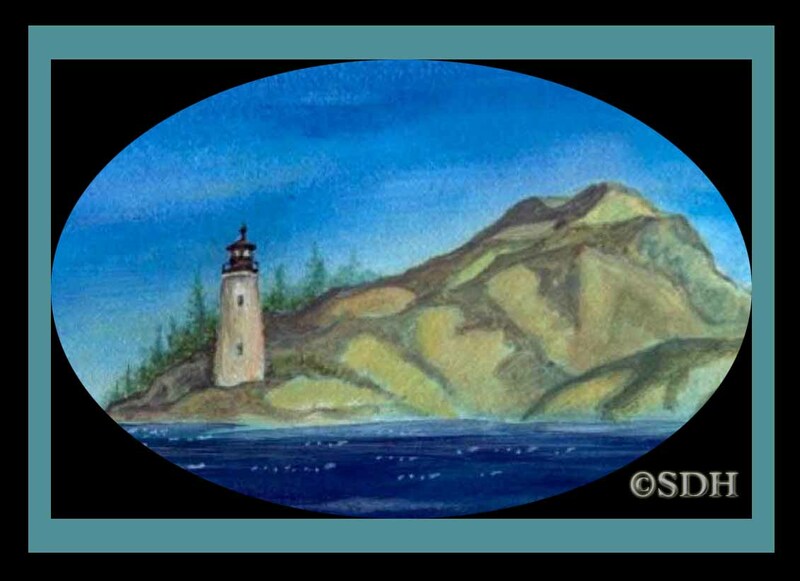 In my painting above, I have illustrated the idea of our Good Shepherd inviting His child to go with Him on a journey. He looks gently into her eyes and she gazes back at Him as He holds her hand suggesting that they are good friends. Jesus said, “You are My friends if you do whatever I command you.” (John 15:14) Jesus loves His child deeply. Because He is the Good Shepherd as well as her Creator, He knows what is best for her. He encourages her to do what He knows is the right path for her. Yet the child hesitates to go with Her Master. There is that tiny sense that she does not fully trust the Good Shepherd. She stands just behind him in the painting. 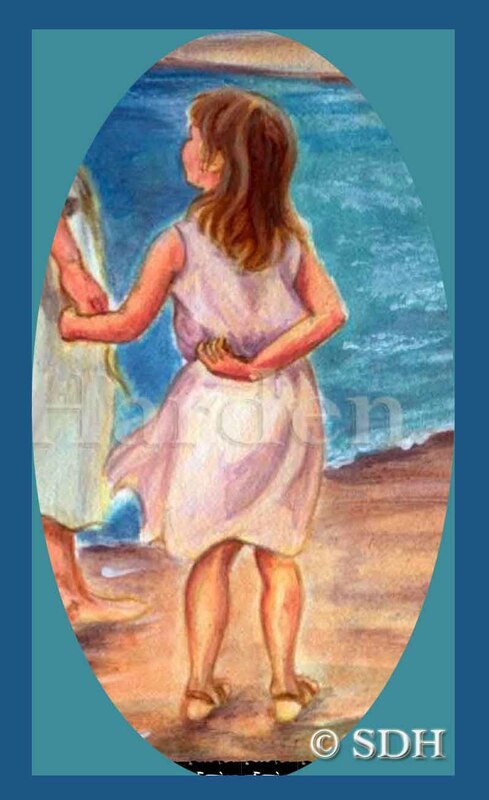 Her feet seem paralyzed and rooted into the sand like some sort of petrified tree as her Shepherd lovingly assures her that He will always be with her throughout the journey and that His rod and staff will comfort her. Though she has given one of her hands to her Lord in partial submission to His will, she holds the other behind her back, symbolizing her reluctance to step out in faith with Him on their journey and her inner fears. Yet He lovingly smiles at her. He knows every weakness, every fear. He neither judges, nor condemns her. How often do we, when presented with new unsettling challenges to our faith, or a new dark journey in life, question the wisdom of God? How often do we hold back from fully trusting our Lord when He asks us to follow Him down a new unfamiliar path? Like the little child in the painting, we have given Jesus one of our hands, but we reluctantly hold the other behind our back and stand with our feet rooted in the ground when He asks us to please trust Him though we may not understand the way He is asking us to follow Him. He then said that the Holy Spirit would come to them and lead them into all truth. Our Lord asks us to walk by faith, to trust Him and to listen for His voice every day, one day at a time, with our hands in the hands of our Good Shepherd. Just as the little child in this painting is walking with her Shepherd, so we must walk. And though like her we are often afraid, despite our fears, like her we must keep our hand in our Shepherd’s hand and our eyes on Him, abiding in Him in our hearts daily if we are to hear His voice. Detail: “The Good Shepherd” © S.D. Harden All Rights Reserved. *Lord Jesus please help me give You both my hands in total surrender when You ask me to journey with You down the road You have prepared for me before the foundation of this world. Help me not doubt but believe all of your promises to me and live by faith. In Thy holy name I ask. Amen. 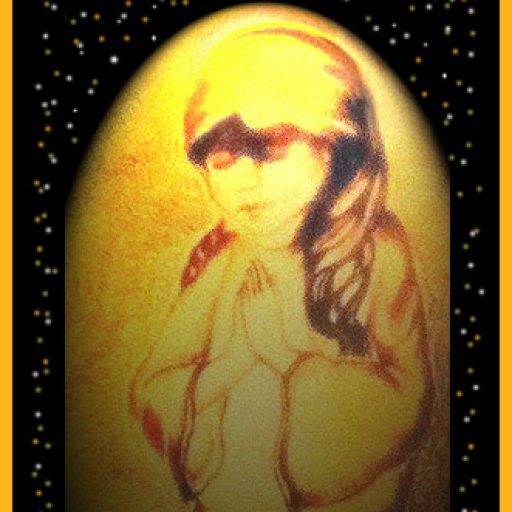 “The Good Shepherd” Illustration © Suzanne Davis Harden 2013 All Rights Reserved.